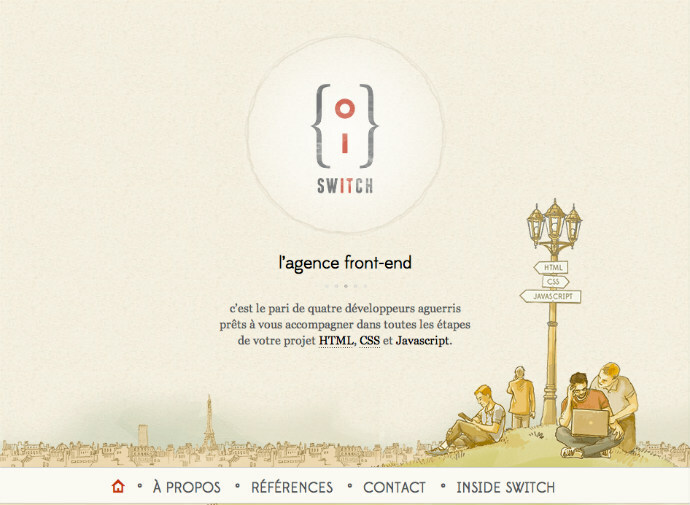 The website of Paris front-end agency Switch. The markup is really well thought out — meticulously so. The heading hierarchy and document outline are in good shape and the semantics of the elements is pretty much perfect. The address element is used to markup the physical address of the agency, and as they are the maintainer of the document themselves that is appropriate. It’s also good to see all type attributes removed from script and stylesheet link elements and a sensible mix of explicit and implicit sections.